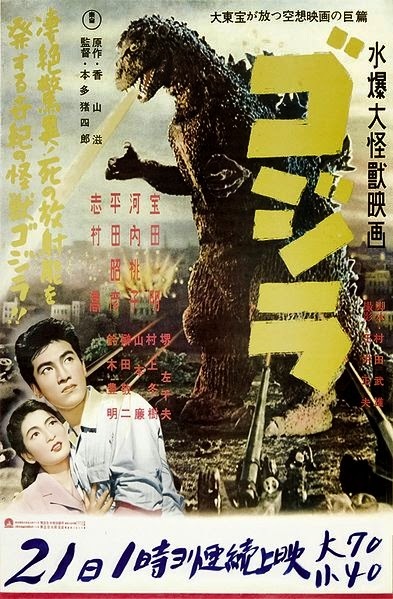 In Ishiro Honda’s 1954 original, Gojira – from the Japanese words for gorilla and whale – is a sea monster awaken by nuclear radiation and a not-so-subtle metaphor for the atomic bombings of Hiroshima and Nagasaki in 1945. Gojira became an instant pop culture icon in Japan, not least because much of the country was still reeling from the first and only deployment of nuclear weapons in human history. 60 years later, Hollywood decided to reboot the import franchise while trying to forget the dreadful attempt in 1998 starring Matthew Broderick. The world is a very different place in 2014: we have witnessed the 9/11 attacks, Hurricane Katrina, the Indian Ocean tsunami and the Fukushima Daiichi nuclear disaster. Bits and pieces of these traumatic events have been incorporated into the current remake. The resulting amalgamation is a mix between Jaws, Jurassic Park, Alien and Pacific Rim, all wrapped in 21st Century realism. British director Gareth Edwards, whose only credit is a little known alien sci-fi called Monsters in 2010, has a difficult character to work with. He makes the right decision to rely on the power of suggestion and to let the interplay between light and shadow and a bombastic soundtrack (composed by the talented Alexandre Desplat) do the storytelling. But Edwards may have gone a tad too far with his slow tease, chiaroscuro approach. Diehard fan boys will complain that Godzilla does not get sufficient screen time. Instead, much of the two hours is spent on character development, which is normally a good thing – except that the characters here aren't very interesting. Bryan Cranston (TV's Malcolm in the Middle) is Joe Brody, a Japan-based American engineer who lost his wife, played by Juliette Binoche (The English Patient), to what appeared to be a nuclear power plant accident. 15 years later, Brody and his estranged son, played by Aaron Taylor-Johnson (Kickass), reunite to uncover the government secrets that have been kept from them. But who cares? So what? Show me Godzilla! When the radioactive monster finally appears, it is accompanied by two MUTOs (Massive Unidentified Terrestrial Organisms). 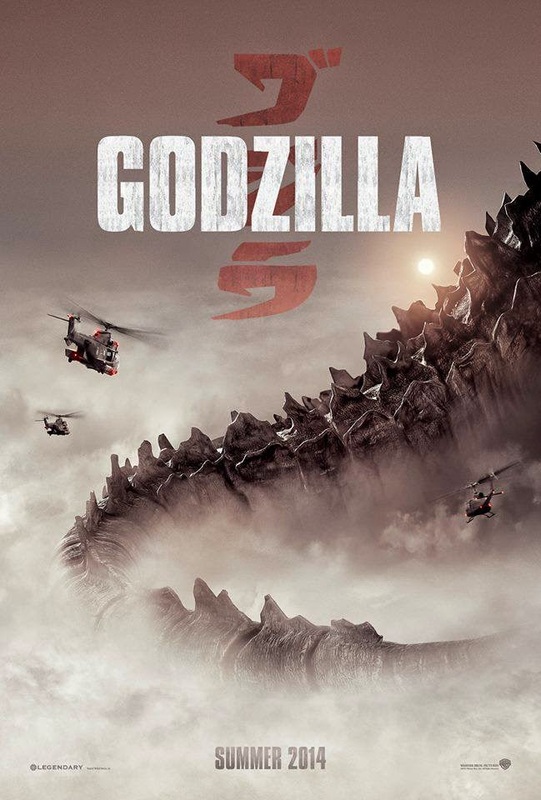 A three-way fight – Godzilla versus MUTOs versus humans – ensues and everything gets smashed. That’s when the movie picks up pace and the audience starts to cheer. Old-fashioned monster stomping through cities can be so much fun to watch, partly because it makes us feel like children again. But there simply isn’t enough of it. I suppose we'll just have to wait for the sequel: the ending has left plenty of room for one. i will say that every scene that actually had Godzilla in it was awesome and made me feel like i was a kid again. the part where he blasted atomic breath down a MUTO's throat was fabulous. 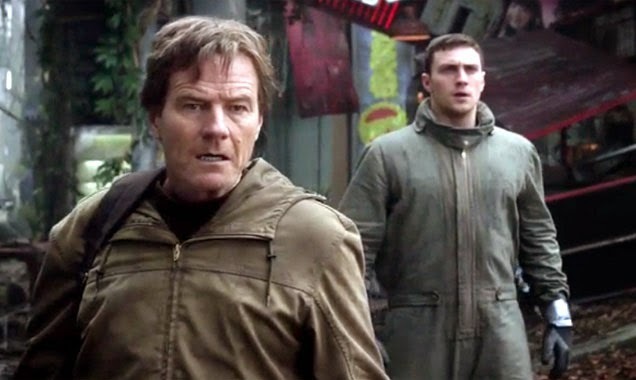 Cranston was great but Taylor-Johnson was a bore. He was much better playing a geek in Kickass than a hero here. Loved that fire breath! The audience applauded, something I haven't experienced in years!